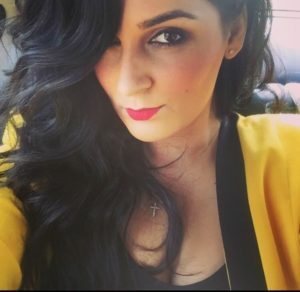 Founded by Sarah “YaYa” Yazdanpanah in 2018, YayaInTheCity.Com is a not just another music blog dedicated to discovering new talent, but is also a forum showing some of the behind-the-scenes looks of the music and entertainment industry that the audience rarely gets to see. Being raised in the United States as a first-generation daughter to a Mexican mother and an Iranian father, Yaya grew up listening to the likes of Selena, Los Tigres Del Norte, Pesado, Intocable, Vicente Fernandez, Los Cardenales de Nuevo León, as well as Gipsy Kings, Googoosh, and Andy and Kouros. 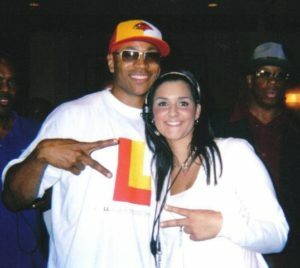 Her passion lied in hip-hop and rap, though, where she can remember listening to SPM, Eazy-E, ScarFace, Notorious B.I.G., 2Pac, Slim Thug, Big Hawk, Fat Pat and UGK as early as the age of 7. When the Reggaeton wave hit in the early 2000’s, and artists like Plan B, Don Omar and Tego Calderón grew in popularity in the United States, YaYa began to understand the crossing of musical genres that was about to explode internationally. With such a vast array in music preferences (including Texas Country where she interned for a country music magazine from the ages of 14-17) it wasn’t always easy finding friends who could relate to her musical tastes. It was then that YaYa began developing her ear for new music and broadening her search for undiscovered artists that she could share with her friends. In 2004, as a Senior in high school, YaYa interned at the BET Music Awards and it was then that she knew her passion lied in music and entertainment. With artists today such as Bad Bunny, J Balvin, Karol G, and Ozuna re-establishing the Latin trap movement of the early 2000’s, and artists like Cardi B and French Montana collaborating to help make it more popular than ever, it was important for YaYa to create a forum where listeners could gain a deeper understanding and appreciation for the exciting time we are experiencing in music today. 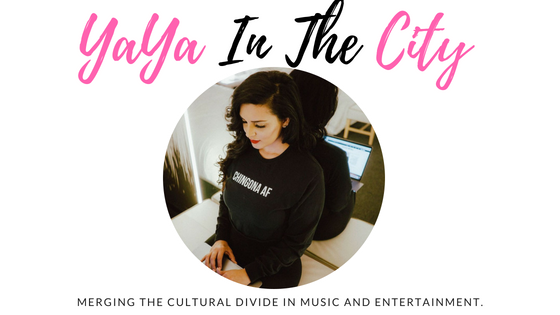 It is no doubt that Latin music is gaining mainstream popularity on today’s radio waves and in online content, and Yaya In The City is dedicated to merging the cultural divide that continues to grow in music and entertainment.